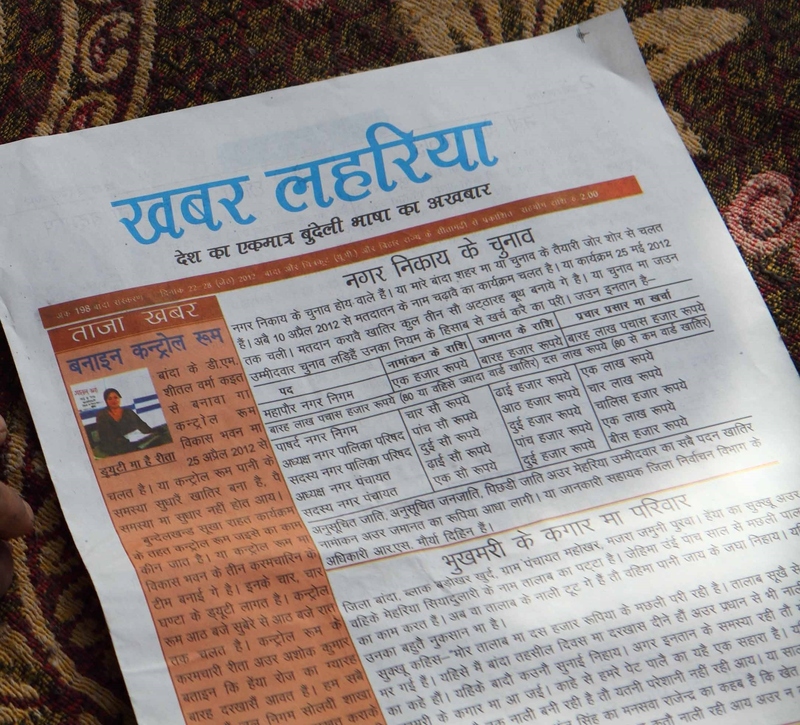 Khabar Lahariya is a weekly newspaper produced entirely by Dalit, Adivasi, Muslim and neo-literate women in UP and Bihar, reaching over 600 villages and 80,000 readers/week.It caters to one of the many media-dark zones of India. Not all places in India feature on the media map of the country. There are numerous hamlets that are forced to anonymity without the spotlights of mainstream media. Khabar Lahariya reaches out to few such segments in North India. What’s unique about Khabar Lahariya? Khabar Lahariya is the first multi-edition local language rural newspaper run entirely by women most of them from marginalized communities. This collective, of about 40 women, reports, edits, takes photographs and distributes the weekly paper. The team started out with seven women from Chitrakoot Karwi in 2002. Today more than 40 women as small teams of 6-8 women produce each of these six editions from Banda, Chitrakoot, Faizabad, Lucknow, Mahoba and Sitamarhi. Since its launch in 2002,Khabar Lahariya has changed not just the landscape of media, but also the landscapes of gender, caste, access to information, accountability and democracy. By enabling women from the most marginalised communities to enter the well-guarded male preserve of the media, Khabar Lahariyahas challenged caste and gender norms in one of India’s most casteist and gender-biased regions. As these journalists have struggled for – and attained – identity, respect, recognition and a renewed sense of self, they have become role models for other women in their communities. Additionally, by focussing on local issues it makes government authorities accountable to the villagers. You can help them win the Best of Online Activism Awards by voting here .